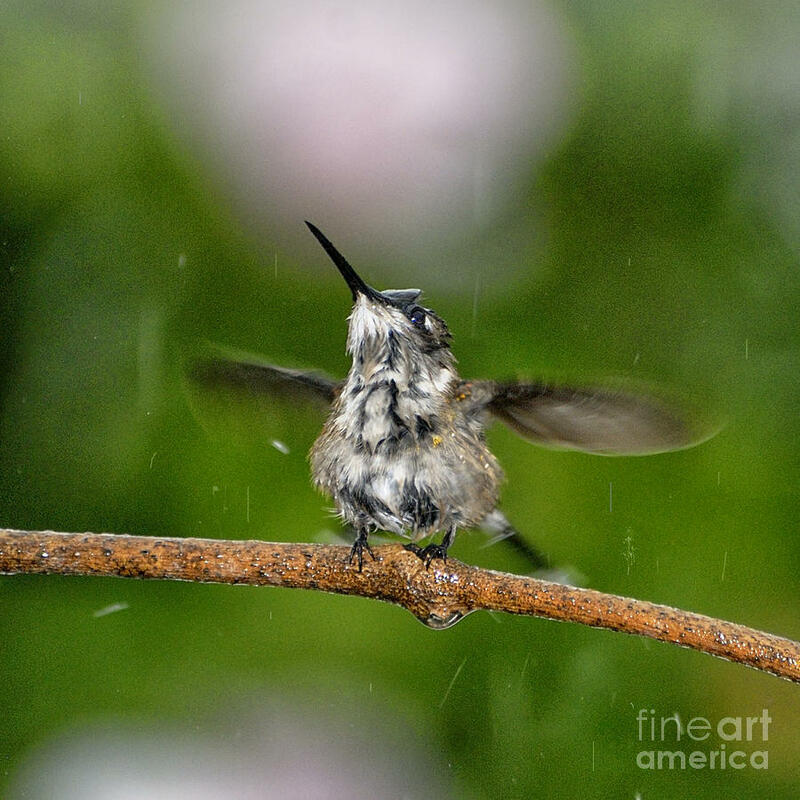 Just A Sittin' In The Rain is a photograph by Betty LaRue which was uploaded on January 20th, 2013. 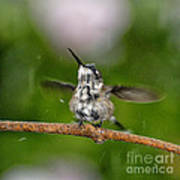 A female Ruby-throated Hummingbird, Archilochus colubris, with utter delight, taking a shower in the rain. Amy, thanks for the comment! Donna, thanks for the congrats and support! Betty Congrats on your sale!! Aww, Betty, this is just fabulous!!!!! Thanks, Anne-Elizabeth! I just love these tiny bits of bird-life! Thank you, Jim! Yes, it was a tough shot as the light was bad, of course. 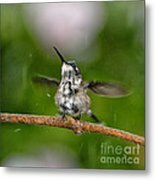 I like your comment about connecting with the hummingbird and their sense of joy. I think that is why I love photogrpahy, because it allows me to not just witness these moments, but that I get a sense of wonder and so much joy myself. And a great photo like this lets others experience that, too. Pretty special all around. Andrea, you are so right. When sitting on my patio watching birds through the lens, I've learned so much about their behavior. The tenderness of two mourning doves, leaning their heads together. Their own form of bird love. I've watched male Cardinals court their females by feeding them. It is truly amazing. Umm that looks good to shower in the rain! Great catch! You are so right, Bonita! I love to walk in a gentle rain. Thank you! This is absolutely adorable! What a great shot! Thank you, Andrea! What makes us connect with an image like this is this tiny, tiny creature seems to have human reactions, such as utter joy! 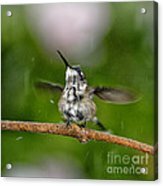 Yes, hummingbirds love misters or fine rain! Thanks so much! Thank you, Sue, you inspired me to post this one. We might sell a twosome, huh? They'd go well together, lol!